There’s no “Jewish vote” in the state of Israel. 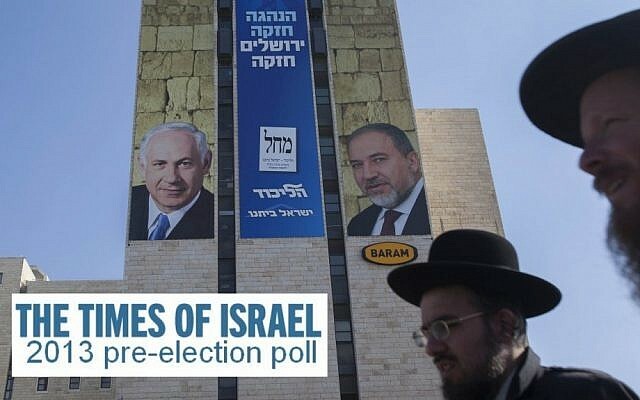 Or rather, as The Times of Israel pre-election poll shows, there’re at least a half-dozen variants of the “Jewish vote” for which political parties are competing. These include four distinct streams of self-described observance — secular, traditional, Orthodox, and ultra-Orthodox — and two types of self-described ethnic Jewish heritage — Ashkenazi and Sephardi/Mizrahi. Each stream or heritage type forms a distinct bloc with its own voting patterns and trends. 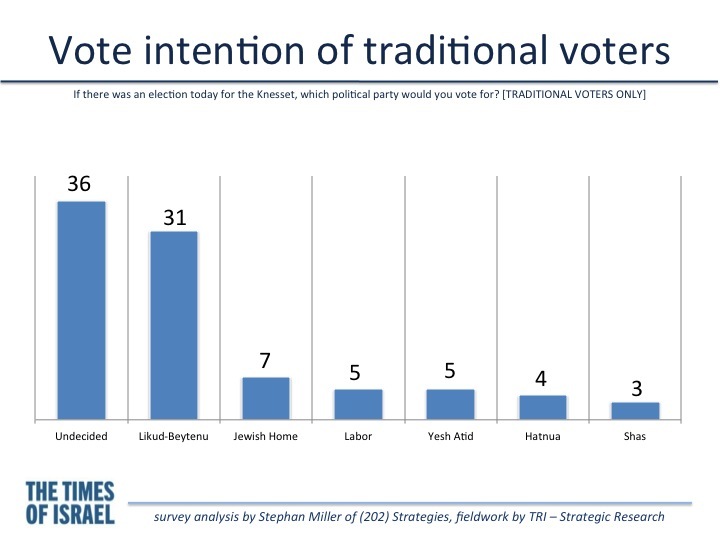 Indeed, in Israel, it’s not just religion, but religious observance and heritage, that help to define voters and parties. 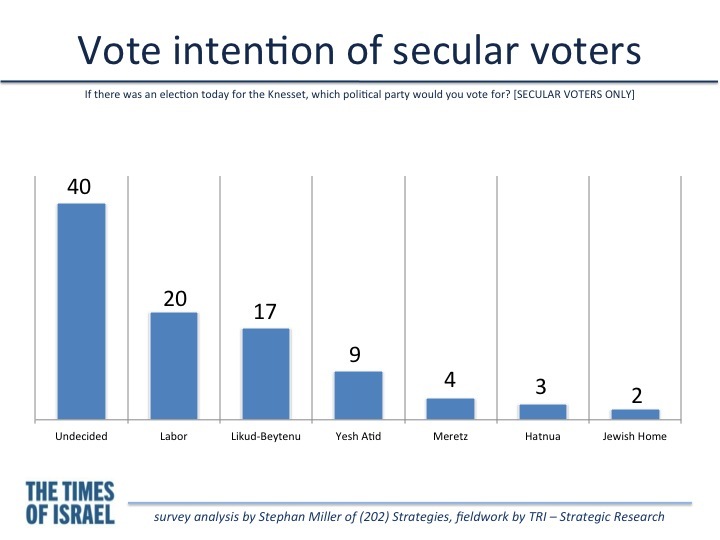 Among likely voters, 44% in our survey define themselves as secular, 24% traditional (masorti), 13% Orthodox (dati), 8% ultra-Orthodox (haredi), and 10% non-Jewish. Of secular voters, a full 40% remain undecided, 20% vote Labor, 17% vote Likud-Beytenu, 9% Yesh Atid, 4% Meretz, 3% Hatnua, and 2% Jewish Home. Self-described traditional voters are the Likud-Beytenu’s strongest bloc; they break down as follows: 36% undecided, 31% Likud-Beytenu, 7% Jewish Home, 5% Labor, 5% Yesh Atid, 4% Hatnua, 3% Shas. 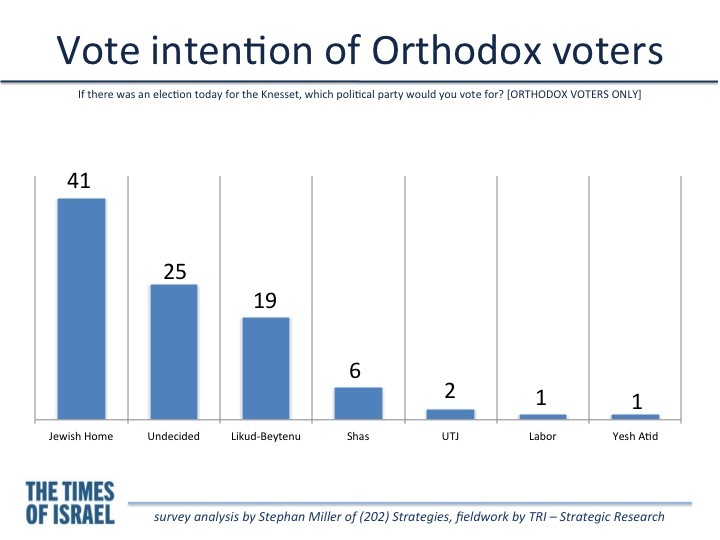 Orthodox voters are the strongest voting bloc for the Jewish Home party, with a full 41% of Orthodox voters currently saying they will vote Jewish Home. 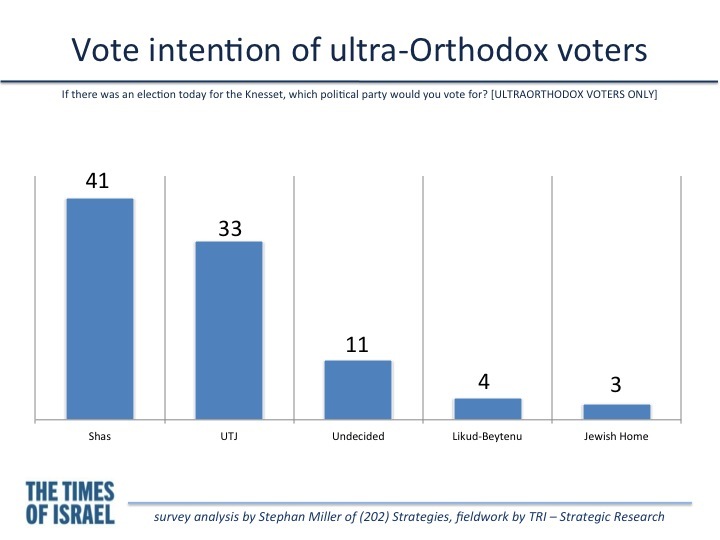 Not surprisingly, 74% of ultra-Orthodox voters currently say they will vote for either Shas or United Torah Judaism, parties that fall under the leadership of ultra-Orthodox religious clergy. 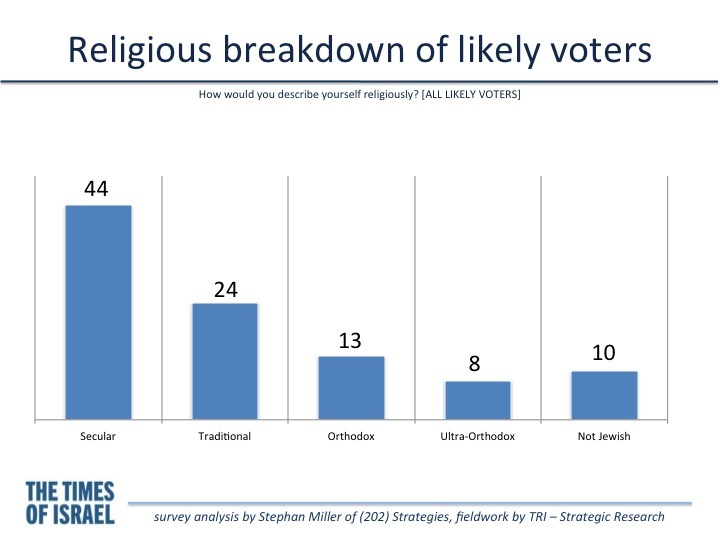 In the final days of the election, the fight for undecided voters will not focus much on the Orthodox and ultra-Orthodox sectors, where minds are largely made up, but on the relatively high number of waverers among the secular and traditional voters. In Israel, the term “Ashkenazi” refers to Jews whose familial ethnic origin is European or in the area of the former Soviet Union. The terms “Sephardi” and “Mizrahi” refer to Jews whose familial ethnic origin is the Arab Middle East, North Africa, Spain, or Portugal. These two groups celebrate and abide by Jewish customs in a distinctly different way culturally. Their voting habits are more different than they are similar. 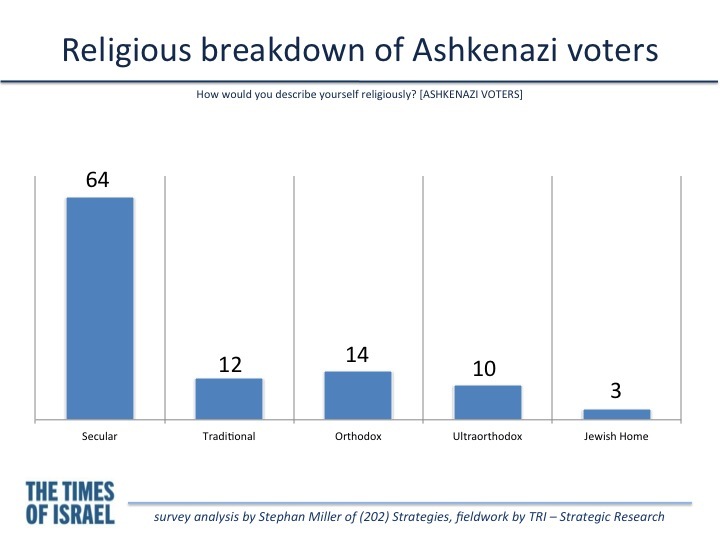 Likely Ashkenazi voters are distinctly less religious, with 64% of Ashkenazi voters self-describing as secular. 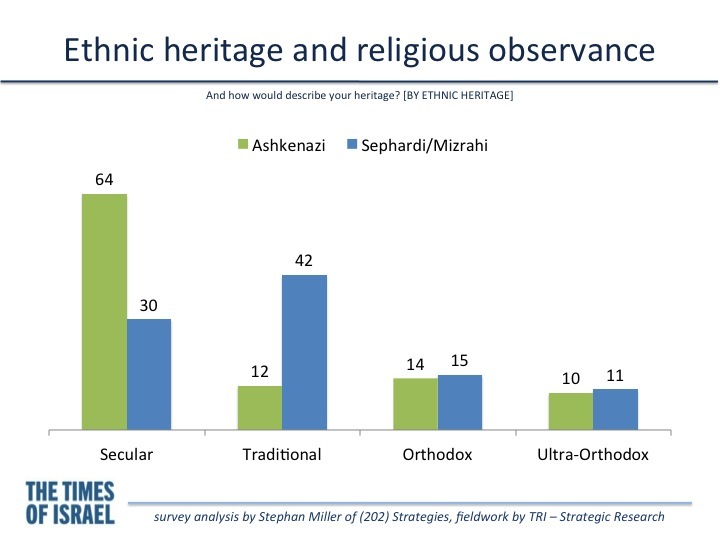 Sephardi/Mizrahi voters describe themselves as more religiously observant than Ashkenazi voters, with 42% saying they are traditional. The Ashkenazi vote is marked by a large undecided component, with 38% currently saying they are undecided. 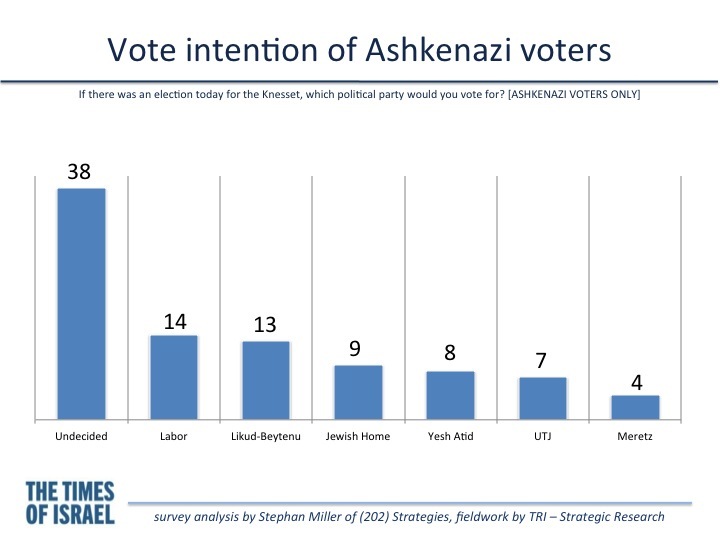 Labor and Likud-Beytenu receive similar support among Ashkenazim, at 14% and 13% respectively. Sephardi and Mizrahi voters lean heavily toward Likud-Beytenu (30%) and Shas (12%), while 32% remain undecided. An analysis of religiosity and ethnic heritage confirms the exclusive sectoral nature of the two religious parties, Shas and United Torah Judaism. A whopping 80% of Shas voters self-identify as Sephardi/Mizrahi, while only 5% identify as Ashkenazi. On the other hand, 89% of United Torah Judaism voters identify as Ashkenazi, while just 3% identify as Sephardi/Mizrahi. 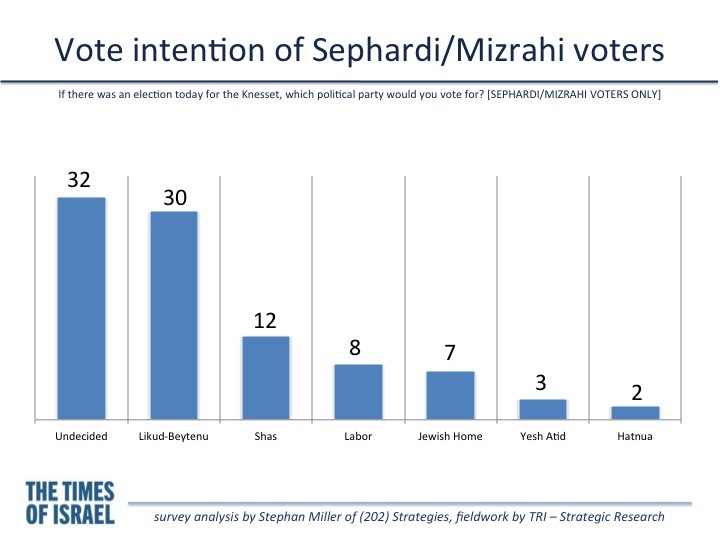 Our data also leads to the conclusion that Likud-Beytenu support is driven by Sephardi/Mizrahi voters, with 58% of the allied Likud-Beytenu voters identifying as Sephardi/Mizrahi and just 26% as Ashkenazi. This is the eighth in a series of nine articles that The Times of Israel is publishing this week on the basis of our pre-election poll. 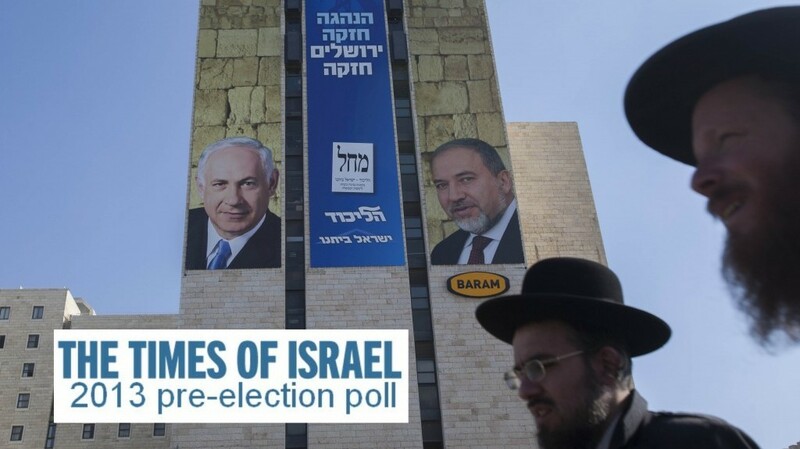 Formulated by The Times of Israel and the author, from political consultancy firm (202) Strategies, with field work conducted by TRI-Strategic Research between December 25 and January 2, our survey is the most accurate publicly available poll to date, having questioned a relatively large sample of 803 likely voters — as opposed to the Hebrew media’s norm of 500 eligible voters. Of those 803, also in contrast to the Hebrew media norm, 10% of our surveys were conducted to cellphones, and another 10% were conducted in Arabic. The poll has a margin of error of +/- 3.5%, with a confidence level of 95%. The methodology of the poll is detailed here and the raw results are here. 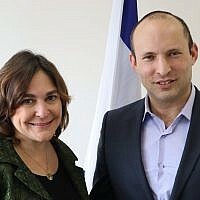 Stephan Miller, cited by Campaigns and Elections magazine in 2008 as “James Carville’s young protege,” is an American-Israeli public opinion research analyst and communications strategist, and a former adviser to Jerusalem Mayor Nir Barkat, who has worked on campaigns in eight countries across three continents.